It's the complete New York Defensive Driving answer. You get a NY Department of Motor Vehicles approved course sponsored by Agency #29, a great traffic-school course, up to 4 (four) points reduced, and your vehicle insurance discount. Choosing a Defensive Driving program in Westchester County is now simpler and more convenient thanks to NewYorkCityTrafficSchool.com's online Westchester County Defensive Driving Point and Insurance Reduction Program course. It's 100% on line and doesn't require any added downloads or software installs, so you can take this Westchester County Defensive Driving course using any PC or Mac with Internet access. 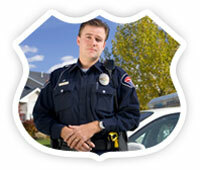 Our online PIRP course is offered at the great low price of $24.95. You get everything you need for your 10% insurance discount, points reduced from your DMV record, and there's no final to take! In addition, your course fee covers the course, your Certificate of Completion and the automatic reporting of your fulfillment to the NYSDMV. You may finish the course in as many sessions as needed, but you have to finish the course within THIRTY (30) days of registering. You can login and log out as you need with the username and password you setup during registration. Your data will be saved along the way! We are happy to provide Westchester County customers with friendly and patient customer service reps who are understanding to your needs. We know that taking a defensive driving course may be a foreign experience for you and we want to make it as simple as possible. Call us toll-free at 800-691-5014 or send us an email at info@trafficschool.com. Mandatory Insurance Reduction Good For 3 Years! 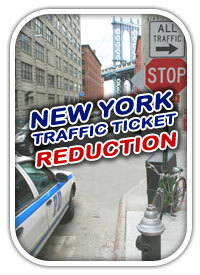 One of the many advantages of NewYorkCityTrafficSchool.com's traffic school programs is that you will save paper. Besides the headaches that come with filing, mailing, and faxing paperwork, the use of paper is taxing on the environment. With internet defensive driving in Westchester County, there is no final examination to take and no manuals to print out or paperwork to mail in to us. Now that's a program that environmentalists will rave about! When you partake in NewYorkCityTrafficSchool.com's Westchester County Defensive Driving program, you become eligible to reduce as many as four points from your Westchester County DMV record. The NYS DMV will automatically receive notice of your point reduction eligibility and you will also qualify for a mandatory 10% auto insurance discount. Point reduction only works for applicable traffic violations that happened within eighteen months of your program completion date. Defensive driving for point reduction, in Westchester County, cannot be used to reduce points you receive from moving violations you may receive in the future.